Please select from the following categories that you would like more information on. We carry white sam. and resin folding chairs for seating. We carry round and rectangle tables for your party needs. Bistro tables for cocktail hour. 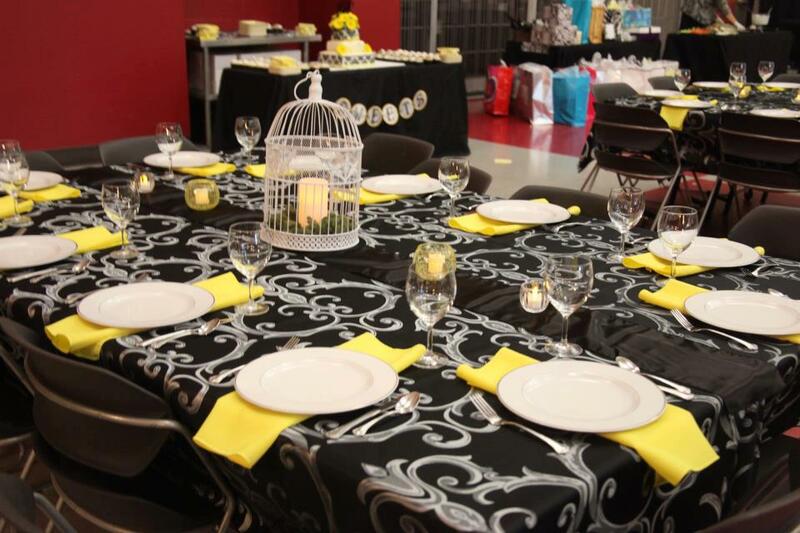 We stock 54 different colors of polyester linens, napkins, table runners, chair sashes. We also carry a large selection of other fabrics as well. We offer White pole or frame tents for your backyard event. We have tents to cover driveways, patios or use next to the pool. We carry many different sizes of tents. You can add tent sidewalls, lighting, and decorations to any tent. Let us put a quote together for you! Just let us know approximate number needed. Which items you are needing pricing on.